You see these places by the river all over Japan. Little hole in the wall open restaurants. 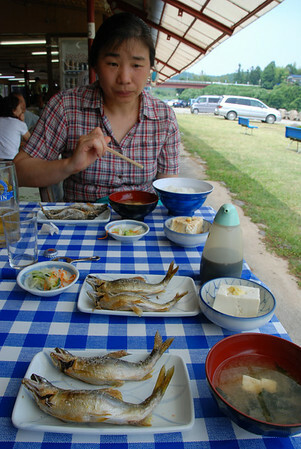 There are some guys with a charcoal pit cooking fish on sticks and thats what we ordered. It was very good. We understood from them that we should come back in September when they will be catching fish in the river and cooking them right there. This we did, and on that trip they had set up a giant fish trap on the river. The fish was fantastic. 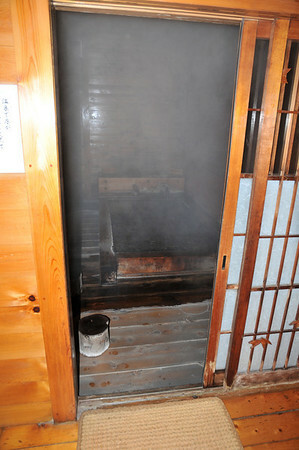 It cost 2000-3000 yen a head for a hole in the wall restaurant. But its worth it. Its also possible to get your own charcoal pit with seating area around it. For a group that would be fantastic. 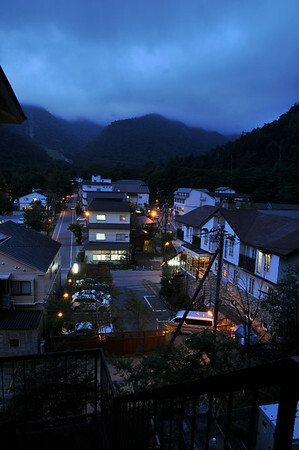 If you've been to Tochigi there is a good chance you've been to Nikko. You might not have been the lakes up above Nikko though. They are well worth a visit. 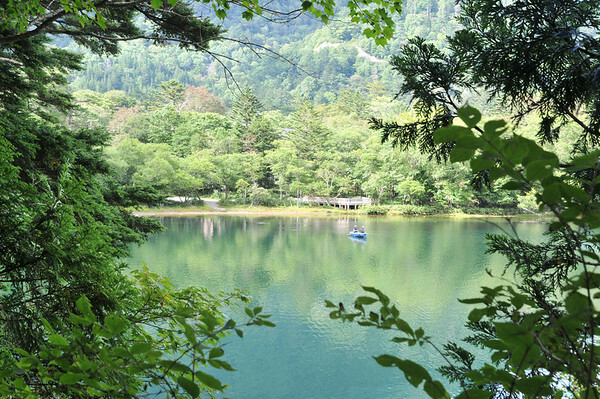 First up is a quite large lake called Chuzenji. We'll blog about that some time. Its quite a nice place. 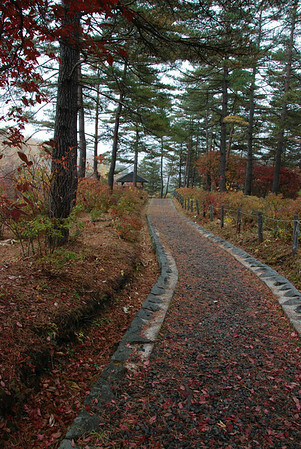 But even further up in Okunikko (deep Nikko) there are some very nice areas. Today we'll write about Yumoto. Yumoto is a small town by a lake. Its quiet and picturesque. There is some nice walking nearby too. 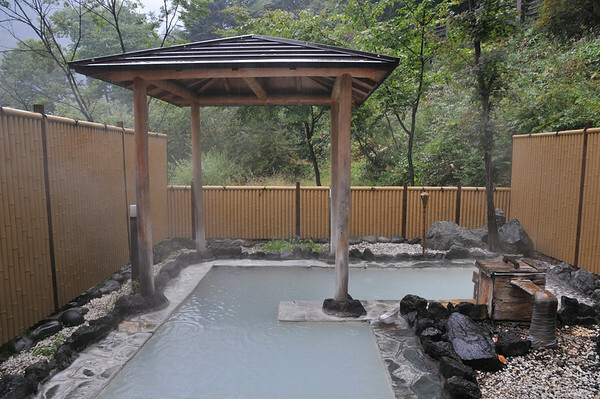 Its a nice place for a slow paced weekend getaway. Its also has a small ski field. We've never been there is winter. There is a nice walk around the lake. It takes about an hour. There is a waterfall at one end and you can also go down to the bottom of that. Also a bit further south is the Okunikko park. There is lots of good walking in there. Its a kind of wetland that looks a bit look Oze. 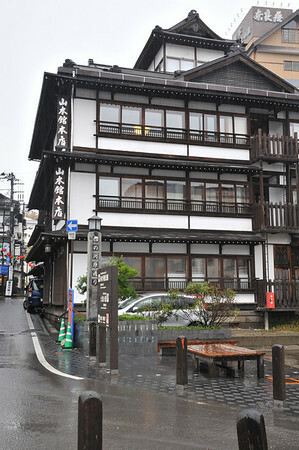 We stayed at Itaya hotel. 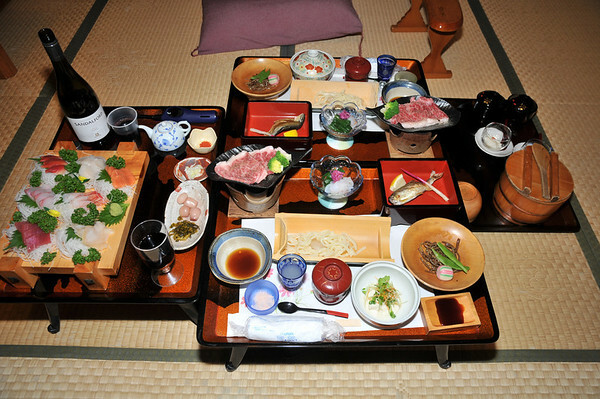 We had a traditional Japanese room with a nice meal for 16,000 yen a night per head. It was nice, but next time I think we'll try a different place. 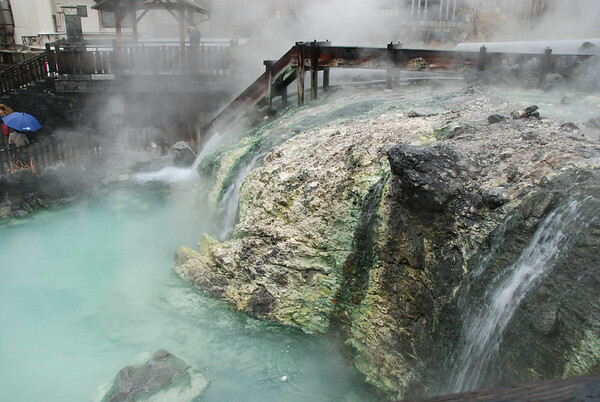 Kusatsu is an onsen town in Gumna Prefecture. Its a great place to visit and it looks like there are many other good places to see nearby. Unfortunately, we had bad weather on our trip and we only saw a small part of it. There's also a nice gallery/shop in town right near the park. 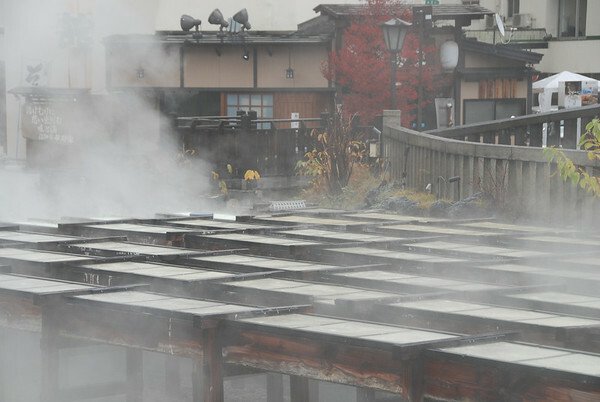 Kusatsu also has a rather strange downtown thermal area. 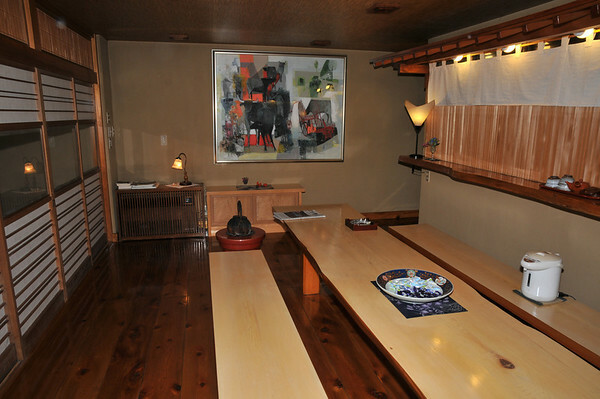 We stayed at a very nice little Ryokan call Hinoki. We drove in from the east and were quite disappointed with Gumna, though the area just to the east of Kusatsu looks nice. We left to the south and were treated to some great scenery. 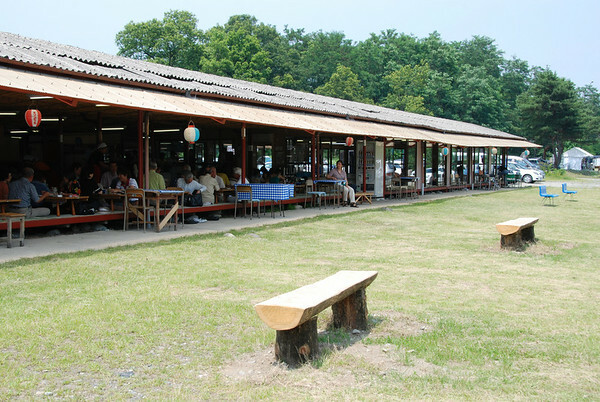 Also Karuizawa to the south looks like a good place for a food loving foreigner to visit. 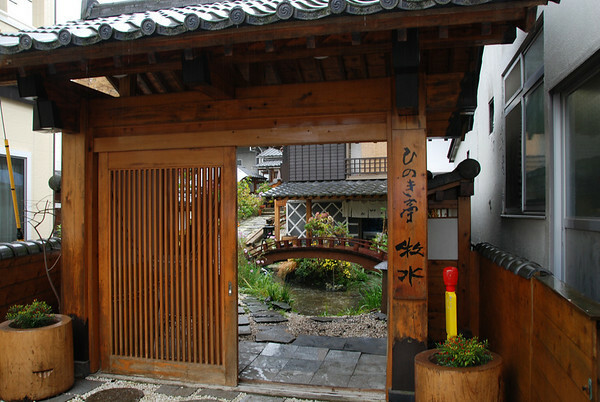 This is a nice little Ryokan in Kusatsu, Gumna. Its within walking distance of all the nice places we found in this great town. The service and food are great. Its very hard to find. The map location linked above is accurate. You can access it from the road to the north or the south, but the north is much easier, even though it doesn't look it on the map. 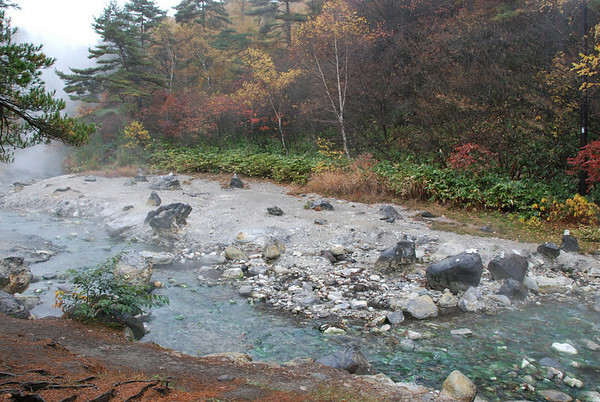 More Photos (including other Kusatsu pics). This is more of an informational post than an interesting one. Its probably only interesting to people who live in this area. Rather a poor post to mark our return to blogging. But, it might save somebody a lot of bother. Also few pictures because Cassandra was afraid of getting into trouble. 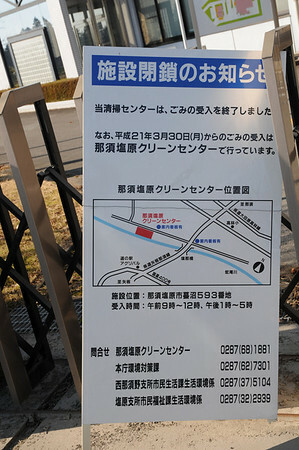 If you live in Nasushiobara then you have probably struggled with the rubbish collection system. At first we regularly got our rubbish returned to us because we had put the wrong things out or put the right things out on the wrong day. The new recycling center can be located at the link at the top of the post, though the location might be a bit off. Basically, from Nasushiobara, drive west on route 400, turn north(right) on route 30, cross a large river and turn left, you cant miss it. Its got a big chimney sticking out of it. When we got there is was indeed a clear center. A nice facility as far as recycling centers go. Pull up at the window and turn off your engine. They'll weigh your car, look at your alien registration card, and have a quick look at the stuff you want to throw out. Then they give you a entry card (which you return when you leave). The lady at the front gate was very nice and very helpful. When we couldn't understand her Japanese she would throw in an English word or 2 to help. We were throwing out mostly unburnable things so we had to go in, turn right and drive up to the silver door. It opened and in we drove. We stopped inside and another very friendly man came up identified a few things we had to take somewhere else (all burnable I think) and then helped us to put all our things in a pile. Then he changed his mind and took all our burnable things too (Cassandra thinks he liked the look of the clothes I was throwing out). Reportedly, its very hard to get rid of computers in Japan. The lady at the front told us we couldn't leave a computer and a hard drive we had. But the man happily took them. Then we drove out, they took back our card, weighed our car, and charged us 400 yen (100 yen per 10 kilograms). Only in Japan would people working at a rubbish center be so polite friendly and helpful. Most people think Japan is very expensive. 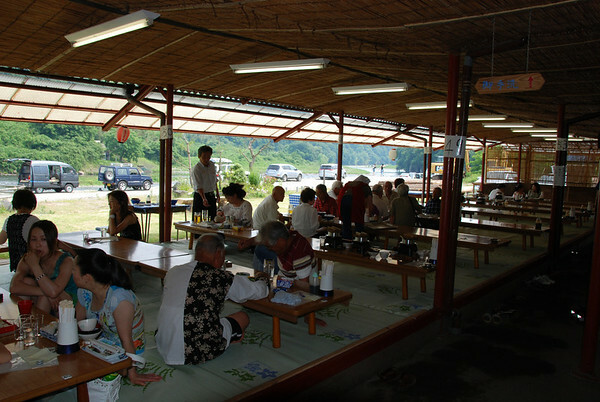 But rural living, in a place like Tochigi, is actually quite cheap. The fruit market is a great example of this. 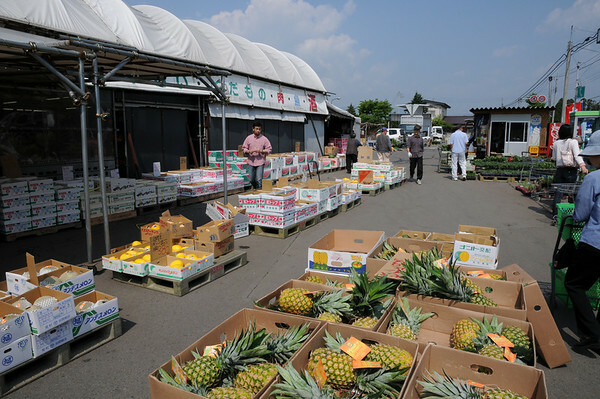 Sometimes friends from Tokyo ask us to take them there to stock up on cheap fruit before returning. We buy all our fruit and vegetables there. 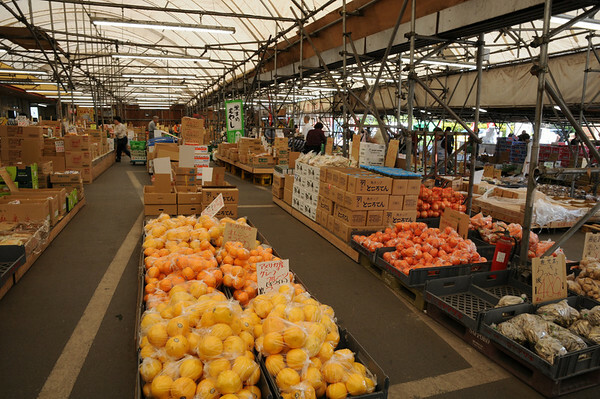 They have a wide variety of things, some local, some imported. Everything from apples to mangos, wasabi root to artichokes. (no durian). They also sell fruit gift boxes. 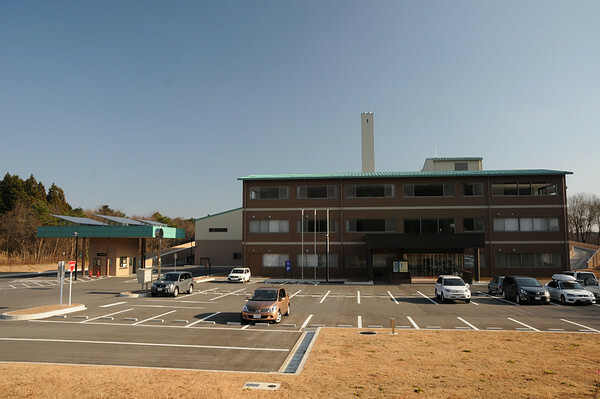 In the back, there is a small supermarket. We don't buy so much in the supermarket, though we do buy quite a bit of our fish there. This is one of the first places you should learn when you arrive in the area. 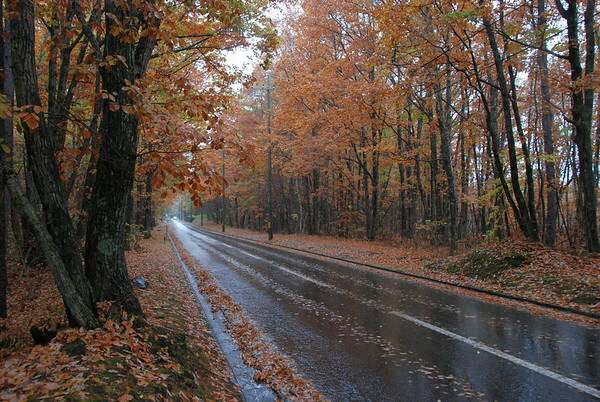 Its better to get there early if you want the best choice, though it is good at any time of day. I had previously thought this mall was run by the same people who run Sano Outlet. But I now don't think thats the case. 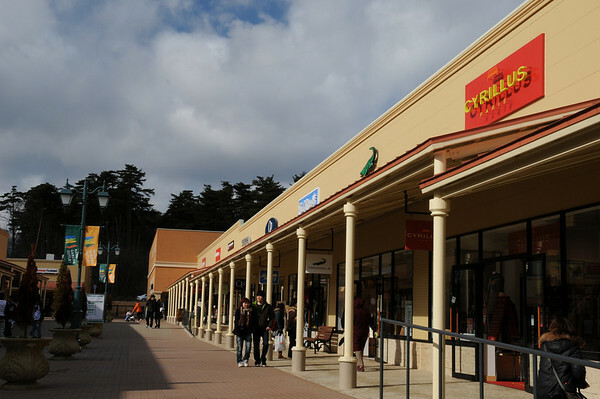 Anyway, it fits the American outlet mall format pretty well. I don't like Nasu Garden Outlet as much as Sano. But it is a decent outlet. The view of the mountains from the mall is really beautiful. The Italian Restaurant is decent. There is a free bus from Nasushiobara Station and soon they will open a highway exit right next to the mall.